The full episode of National Geographic's Truth Behind episode about Bigfoot is available in full. this is actually our favorite TV Documentary on the subject. After seeing so many you start to think they are all the same. maybe becuase we like computer graphics and 3d images this one sticks out for us. It has all the hallmarks of a TV Bigfoot documentary. Patterson Gimlin footage? Check. Bob Hieronimus? Check. Jeff Meldrum? Check. Hair evidence. Check. Cast Evidence? Check. And so on and so on. The video is a must see if you haven't seen the episode. It is not just one of our favorites, it is our absolute favorite. Everything is condensed into 45 minutes and I you can see for yourself in the video below why this is our favorite Bigfoot TV Documentary. CANNES: National Geographic Channel has commissioned the hour-long Hunt for the Abominable Snowman from Atlantic Productions. 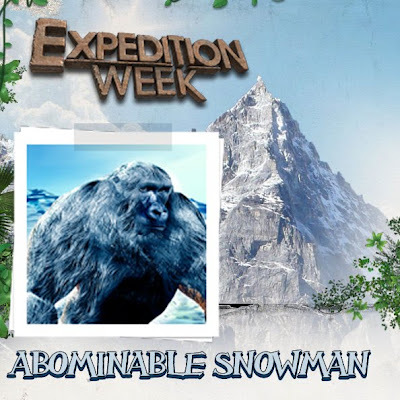 The film debuts today at 9 p.m. on National Geographic's Expedition Week, which runs until April 9. The hour-long feature follows adventurer Gerry Moffatt as he investigates the truth behind one of the most famous monster myths. Moffatt travels to meet eyewitnesses and uncover never-before-seen evidence about the existence of the creature. A new National Geographic show simply titled Bigfoot will air on Sunday January 24th. While not a lot is being said on the NatGeo site, besides the two videos embedded below, we do know Jeff Meldrum and his research will be the primary focus. Meldrum received his B.S. in zoology specializing in vertebrate locomotion at Brigham Young University (BYU) in 1982, his M.S. at BYU in 1984 and a Ph.D. in anatomical sciences, with an emphasis in biological anthropology, from State University of New York at Stony Brook in 1989. He held the position of postdoctoral visiting assistant professor at Duke University Medical Center from 1989 to 1991. Meldrum worked at Northwestern University's Department of Cell, Molecular and Structural Biology for a short while in 1993 before joining the faculty of Idaho State University where he currently teaches. 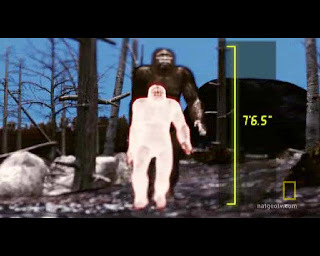 One of the most interesting list items is Jim Henson's Creature Shop, where the investigators try to determine if it was possible the Patterson Bigfoot was a human in a costume. Pictured below is a gorilla mask and animatronic head at Jim Henson's Creature Workshop in Burbank, CA. Below is are the two preview videos along with the captions provided at the NatGeo site. 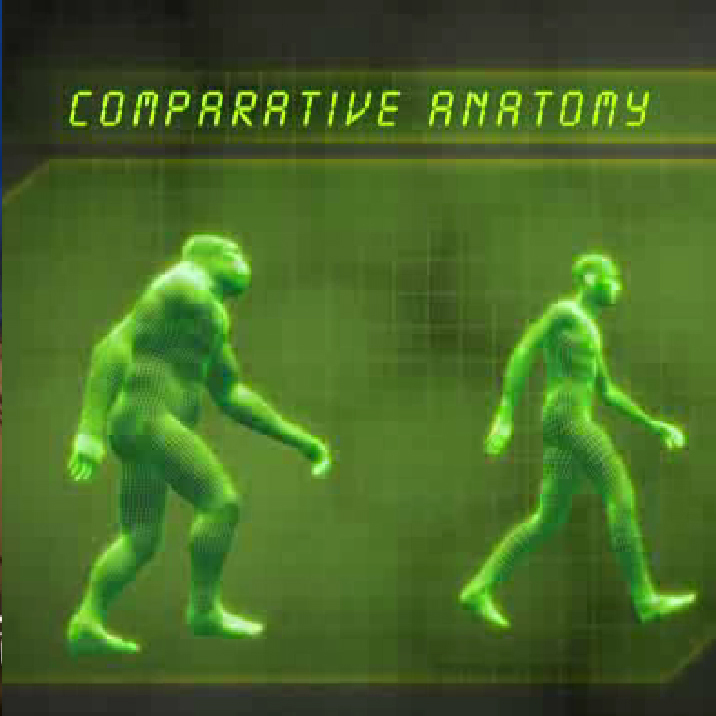 There's no conclusive proof that Bigfoot exists. Still, experts like Dr. Jeff Meldrum offer some compelling arguments. Meldrum and Mionsynski take to the mountains of Wyoming, where recent sightings of Big Foot have been reported. 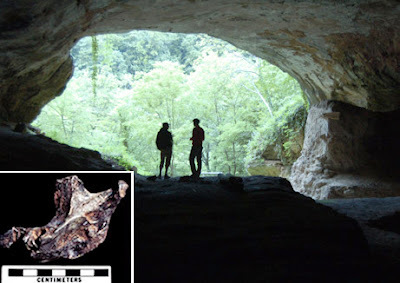 Two great sites offer a great view of neanderthals place by following up on the DNA sequencing. One site, National Geographic talks about the very beginning of the DNA sequencing of neanderthals. While the other site, Nature, is an update with four streaming videos taking us on a complete journey of the DNA Sequence.